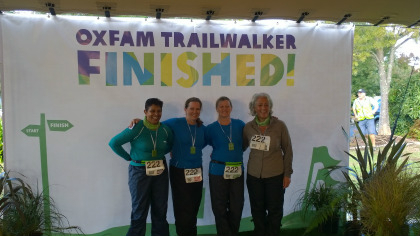 Trail blazers Yvonne, Lynne, Billie and Veronica on completing there first 100km oxfam walk and in doing so raised 11K! This is one of seventeen international events that raises globally up to 150million. Oxfam is a tough challenge that see's everyday people train at rediculous hours of the day/night and walk many miles to cross the line as a team of four. Pleased to say they did it without any injuries, blisters or foot pain. Bigfoot supported Team Bertie on there 100km journey. "Hi Justin - thank you so much for the support and advice you provided to Team Go Bertie. As promised, I'm sending you a team photo of us finishing. We completed the course in 31 hours 10.43 mins, slower than what we'd wanted. But, hey, we finished and have raised $11k to boot! So a good result in my book. My walk was issue-free and I feel in good shape now. No blisters - thanks to the combination of glide, hikers wool and double lined socks. Thank you for your advice on that front." We have been helping Craig along with many of his other sponsors to get to ironman. Craig is an amazing Kiwi bloke who has been to the depths of depression and through exercise has overcome some huge battles both mentally and physically. His journey began 3 years ago when he lined up for IM 2012 but due to weather this was postponed. Not one to give up he lined up again for IM 2013 only to be struck down by a heart condition a few weeks before the start so he watched on as a supporter for his brother. 2014 was to be his year - he completed IM 2014 and in doing so been an ambassador for many others. He has raised money for both Mental Health and the Heart Foundation. I am sure we will hear and see Craig more as he contonues this amazing journey. Cheers to you Craig! 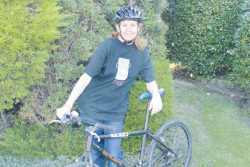 Bigfoot are supporting Rachel Thompson, a Howick local on The Ride to Conquer Cancer benefiting Cancer Society Auckland. Its a 200+km, 2-day cycling journey in November 2013. She has to raise $2500 to ride. She is doing the ride to show her love and admiration to all those who have fought a courageous battle with cancer having lost her Mother and two uncles to cancer. "Well, I did it! Both my bike and I survived the 200km Conquer Cancer ride on the weekend. Was a bit sore and sorry for myself on Monday but back to normal now. Just for your eyes though...thought you may like to see a couple of pics too! One is of me in camp wearing my Bigfoot shirt! Thanks again for your support. I really appreciate it. The riders raised a total of $2.1 million so you were a part of it all!" Rebecca Iona and her team of youths from the Haven (BeachHaven) supplied people living in hardship with soup. A fantastic youth lead program supporting our local community on the North Shore. A great cause that Bigfoot supported and provided funding for the ingredients. Bigfoot member Lauren Peet is supporting her podiatry colleague and friend to raise money for a life changing surgery peformed in the USA. Lauren has held a book fair and raised $500 in getting Kali to the USA. Kali was born 6 weeks premature and has Spastic Diplegia - a form of Cerebral Palsy. There is a surgery that is not performed in NZ and therefore Kalis needs to have this in the USA. This month Kalis has the surgery costing$100-$150K that will severe the nerves supplying the spastic muscles. We wish Kali and her loving family all the best. Bigfoot are supporting client Paul Cadman and the Lion Charity Team who are riding from Christchurch to Queenstown. They are riding to raise money for the New Zealand Down Syndrome Association. The Association is non-funded and not for profit meaning they rely solely on fundraising to provide the support they do for families with Down Syndrome children The ride will take four days from 20 – 23 March from Christchurch to Queenstown and cover 712km’s. Day Four: Haast to Queenstown – 215kms – including the Crown Range at the end of the day! Last year the team raised an amazing $50,000, this time around they are determined to raise over $60,000 for a great cause. You can help support their goal by visiting www.everydayhero.co.nz/lion_charity_riders_1 to donate as much or as little as you can, any amount is much appreciated and will be matched dollar for dollar by Lion. Craig Bulloch Takes on Ironman 2013 - Take two! 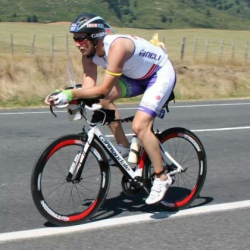 On the 3rd March 2012, 7am Craig lined up at the start of the Taupo Ironman to raise money for Mental Illness. As it would turn out the weather cancelled the event and with it the dreams of many first time ironmen who had trained endless days, culminating in crossing the finihsing line - every ironmans dream. 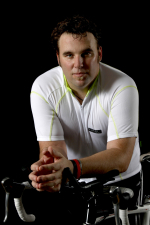 Craig would not accept he would not complete an ironam and is lining up again for Ironman 2013. Craig has faced the highs and lows of depression and through exercise he has overcome the biggest battle of his life. He is an inspiration to watch and grow both mentally and physically. We wish him well on his next challenge - take two, a 3.8km swim, 180km bike and a 42km run. Bigfoot have been behind Craig - "Give it your all CHAMP!" Support the Mental Health Foundation and Craigs fundraising page on his second journey to ironman Success - Take two! Bigfoot is supporting Brendon (19years) who will be navigating his way around NZ's amazing coastline by running, swimming, kayaking and climbing. A 6000+km journey that as Brendon puts it "an adventure to be remembered." This has never been attempted before. 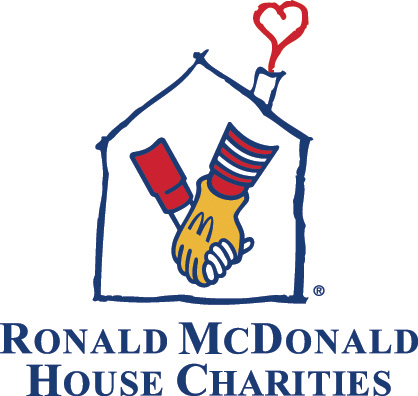 Brendon will be raising money for all the children and families under the care of the Ronald McDonald House. Follow Brendon's progress and his donation page for the Ronald McDonald House. Support a colleague of mine, Anthony Ng and his friend Mark Hassall. They are running from Nelson to Queenstown (1000km) over ten days. They are running mad and have accumulated well over 70 marathons between them with the odd ultra marathon thrown in for good fun. They are raising money for for a PPG Probe for the Counties Manukau Diabetes Unit. This is an expensive piece of equipment that assesses the blood flow in the foot. Amputation is common amongst High Risk diabetics and the PPG probe will prevent future amputations. Anthony is a podiatrist treating diabetics and Mark has a close friend with diabetes. Joining there passion for running and raising money for a cause they both believe in will culminate in Queenstown in a few days time. We wish Anthony and Mark all the best on there amazing feet! Donations can be made to 12 3019 0848187 00.